This was a treat for my dad for his birthday. He loves salmon, and neither of us had ever had hot smoked salmon. 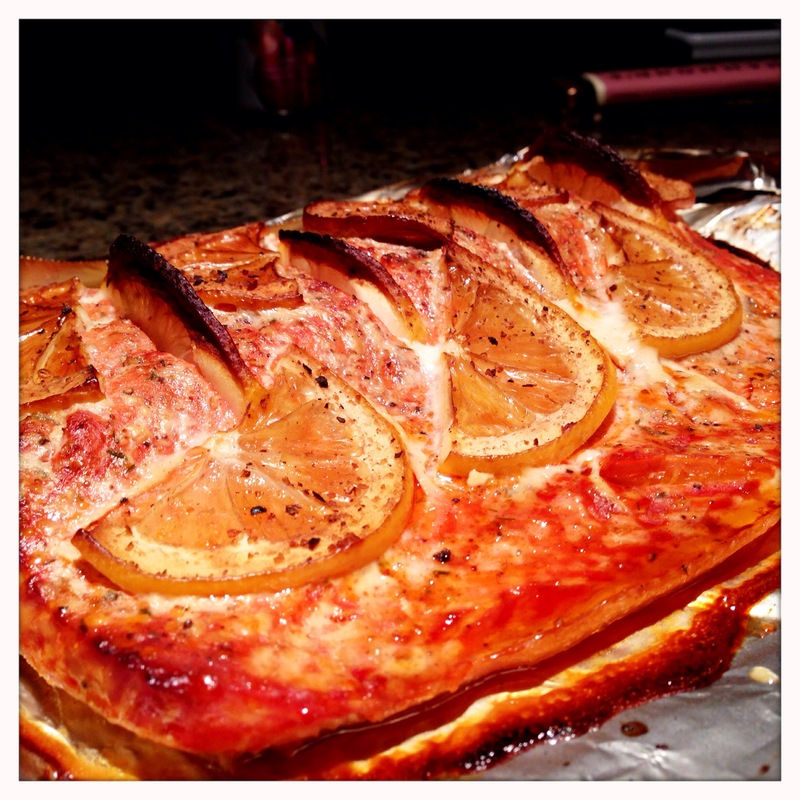 We’re both big fans of cold smoked, cured salmon (lox), but this would be something different. Hot smoked salmon is often served as an appetizer, either whole or mixed into dips or spreads. We wanted to try it as an entree portion, though, and the results were really good. The smoke flavor and the lemon really mask the fishiness for those who don’t care for it, but the salmon flavor still really shines through. 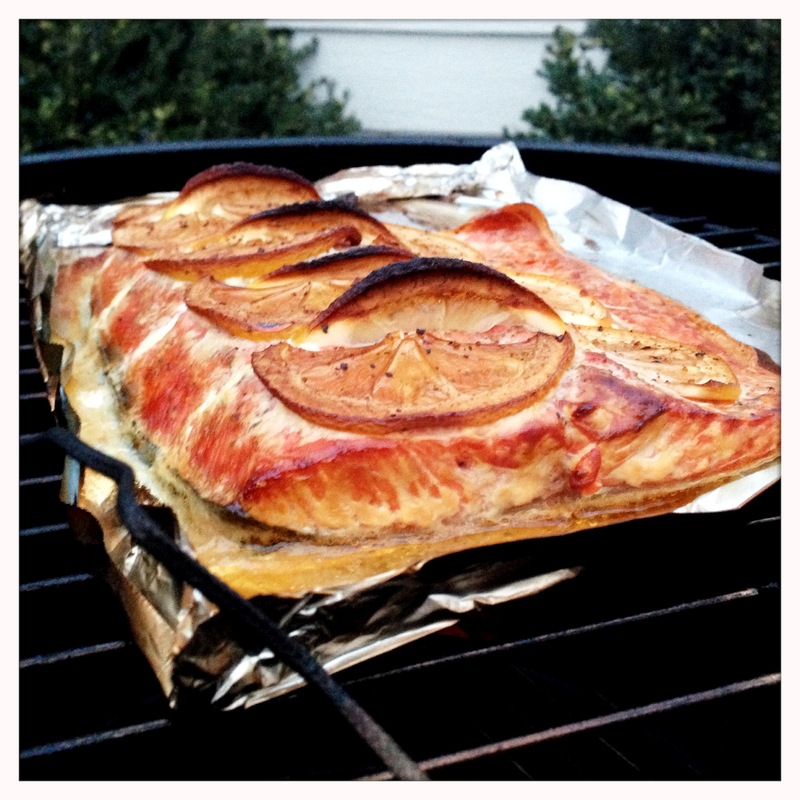 Many fish are good for smoking, but few seem quite as natural a fit to the BBQ as salmon. 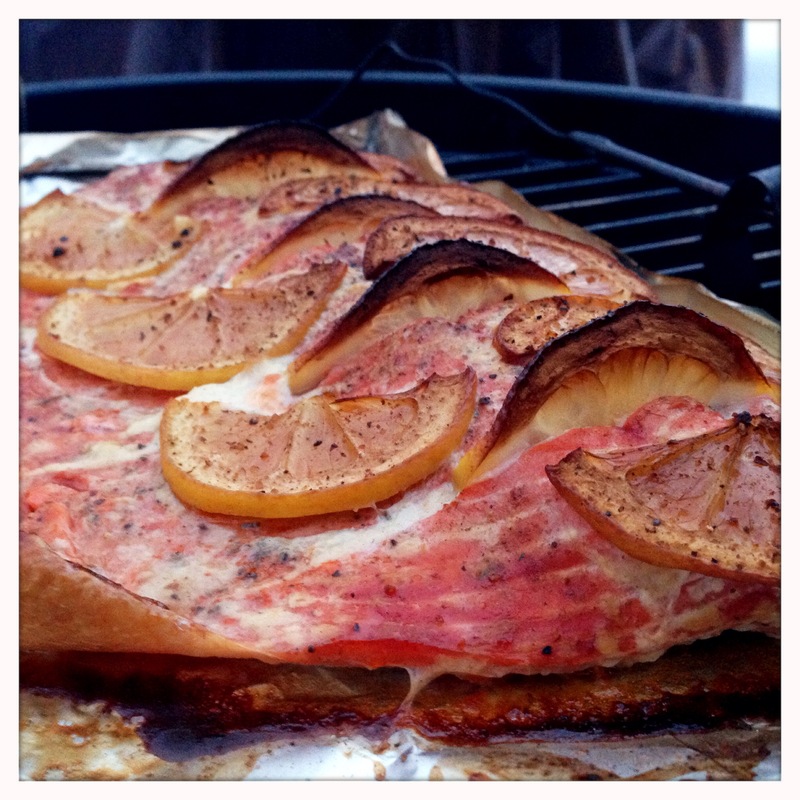 If you’re looking for a new way to make your salmon, give this a shot! When selecting salmon, you want the freshest fish possible. It should have minimal to no fish odor and should be fairly firm to the touch. Whenever possible, I use wild caught salmon. 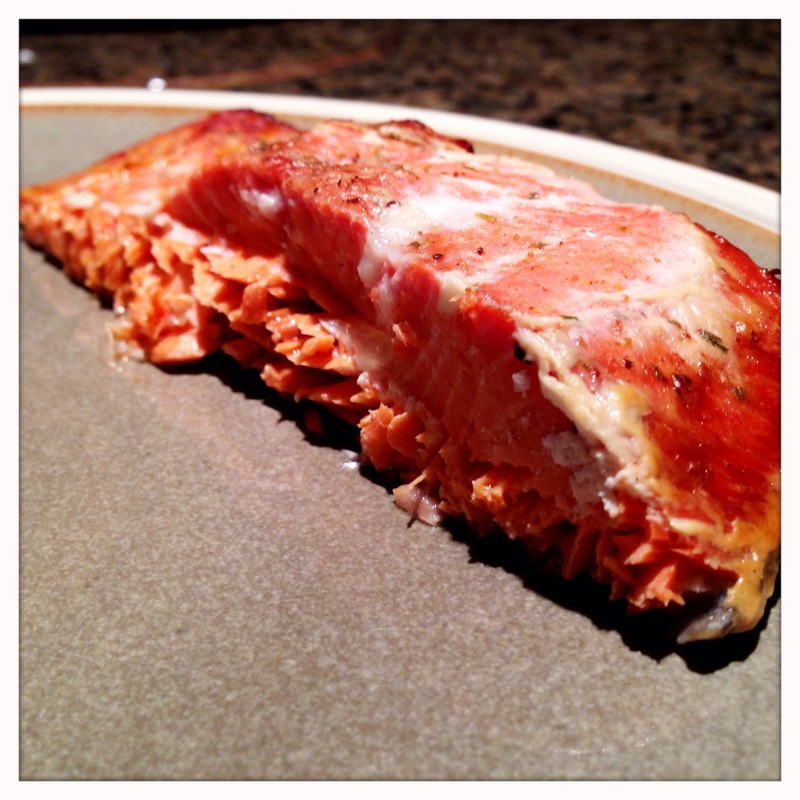 For this post, I used a nice piece of wild caught sockeye from Canada. 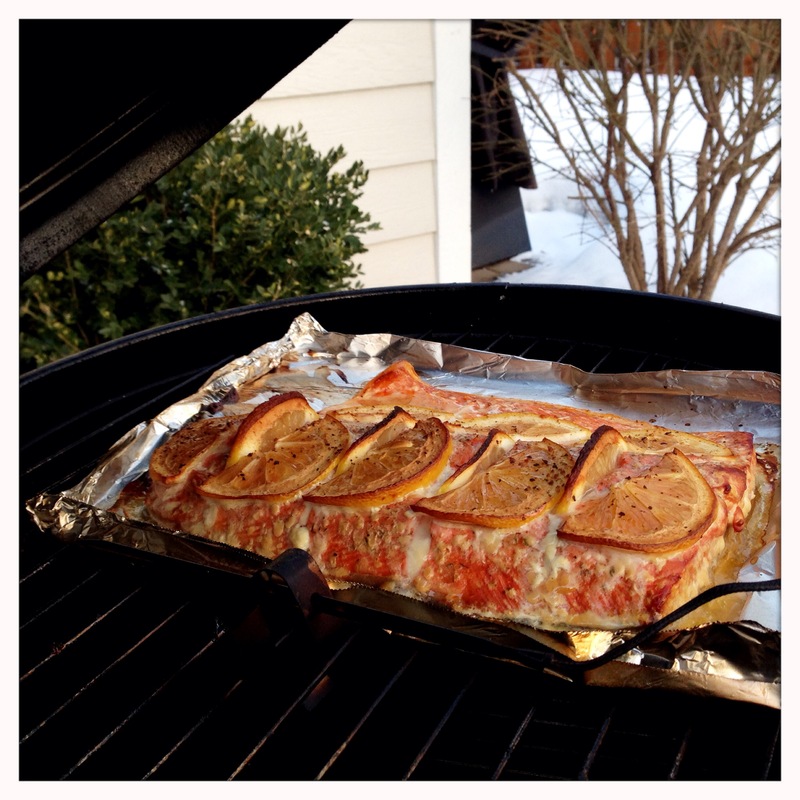 I smoked this salmon on a charcoal smoker. However, if you don’t have a smoker, this can just as easily be done on a regular charcoal grill or even a gas grill with a smoker box and some wood chips. As I go through this post, I will try to make notes on how to achieve similar results on different types of grills. To start, prep your smoker or grill. I light my coals using the minion method as this gives a controlled and even burn for a long time. (If using a standard kettle grill, light coals on one side with an indirect set-up. If using a gas grill, light one side of your grill leaving the other side off for indirect cooking.) Target temperature is going to be around 225-275. I realize that’s a big range, but live fire is not an oven, and you’ll have better success letting your cooker settle in where it wants than struggling to keep a predetermined temperature. My salmon cooked about 275, and it came out wonderfully. 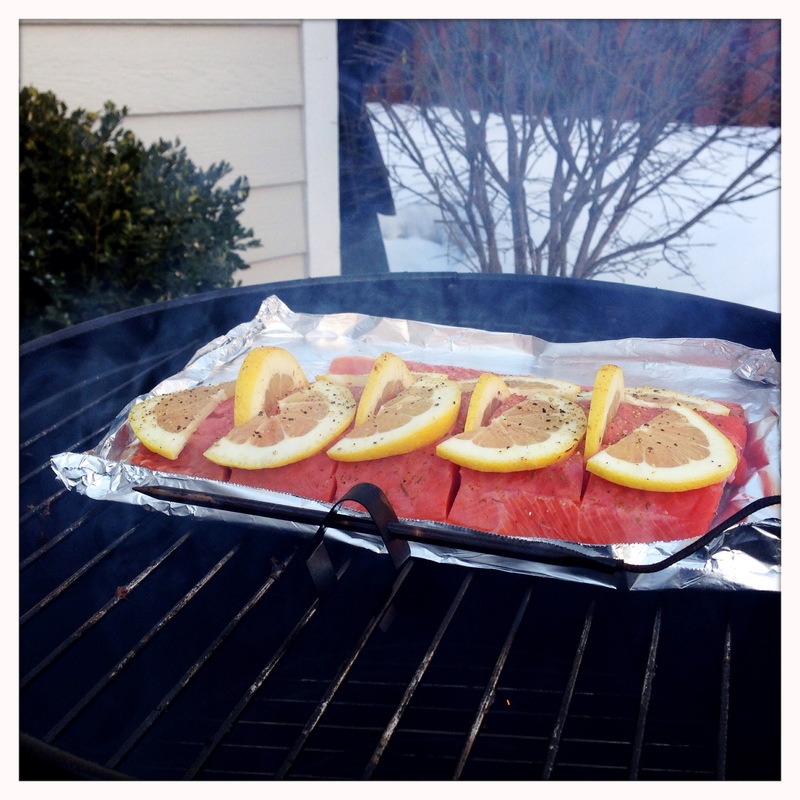 While your smoker is coming up to temperature, it’s time to prep the salmon. Keep the salmon filet in one piece with the skin on. Using a very sharp knife, make slices through the fish down to the skin, but not through it, in the size of the portions you will be serving. Place the fish on foil as this will make it easy to get on and off the grate. Insert a thin lemon slice into each slit. Cover the flesh of the fish with the fresh squeezed lemon juice. Season the fish with the chesapeake bay seasoning and some black pepper. Be careful not to over-season the fish. 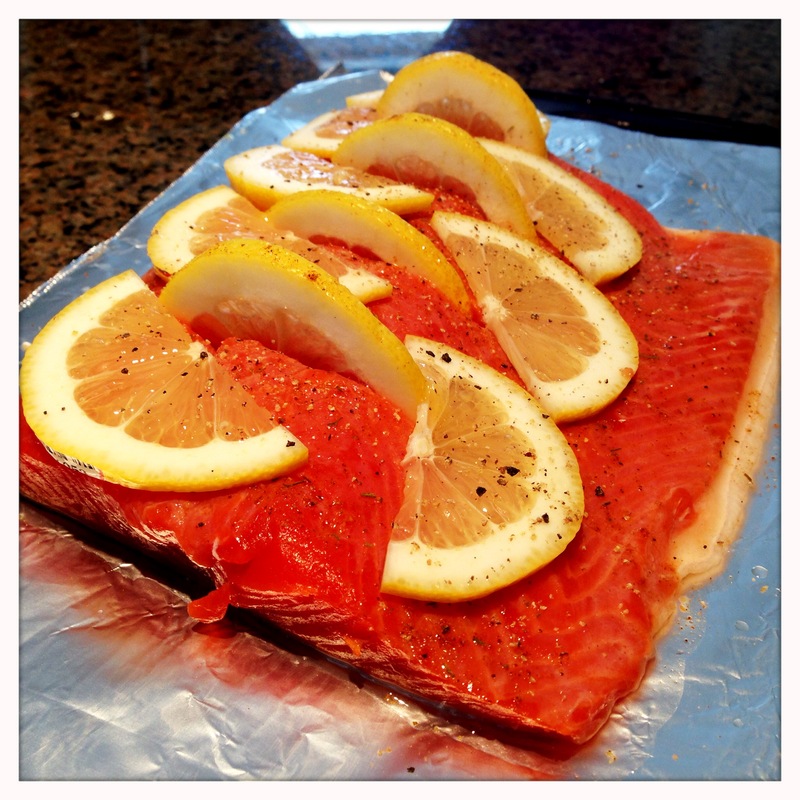 You want to add some flavor to augment the salmon’s natural taste, not to hide it. Finally, place more lemon slices over the fish. Cover and let the fish smoke for at least an hour. 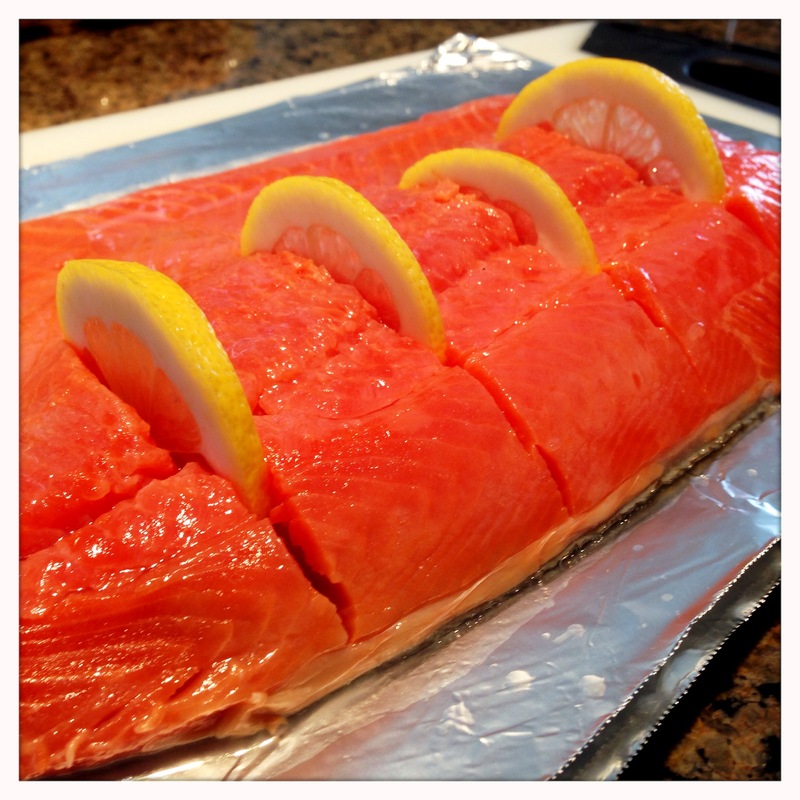 When the salmon is done, it will flake easily when poked with a fork. If you prefer to go by internal temperature, you need to cook the fish to at least 145, and many people feel that salmon should be cooked to 160-165. After about an hour and a half, it was time to eat. There’s definitely some wiggle room with this kind of cooking, and I think this could have come off the smoker a little sooner or a little later and still been just fine. For the food safety folks, the internal temperature was about 155 when I took this fish inside, and it likely rose a few more degrees while I was getting plates ready. One of the most striking things about smoked salmon is the vibrant color that it gets from the cooking process. 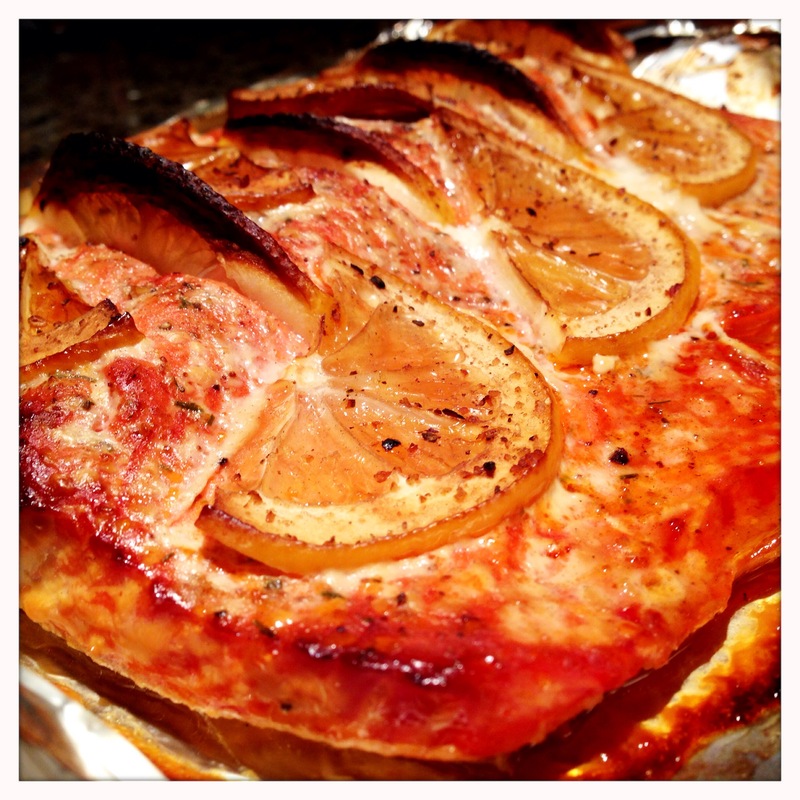 It looks completely different from a baked, broiled or pan-seared salmon. The bright color carries through to the inside of the fish as well. The texture is firm, and very pleasant. 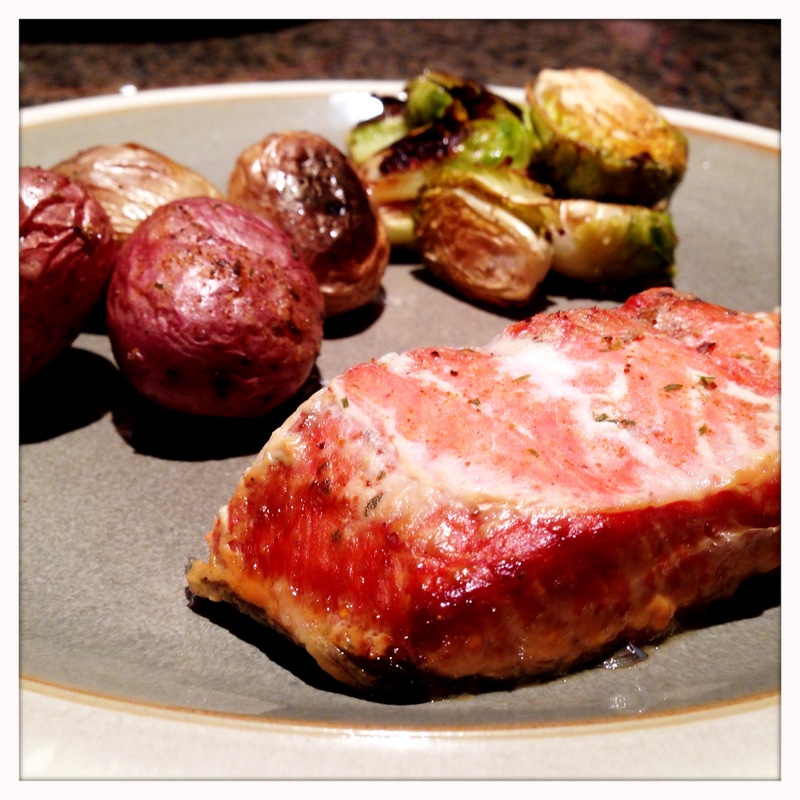 I served the salmon with some brussels sprouts and gemstone potatoes that were roasting in the oven while I was tending to the smoker. This was a bit of an experiment. As I said at the top of the post, I’d never done this before. I’d never even eaten an entree portion of hot smoked salmon. Nonetheless, I’m glad I tried it. Everyone enjoyed it thoroughly, and it’s always fun to try new things in the kitchen (er…yard?) whether they work out or not. In full disclosure, our two year old ate a few pieces while wandering around the kitchen waiting for dinner, and he said he loved them (which I believed based on the rate at which they were disappearing). Five minutes later, he wouldn’t touch it on his plate. That may have had something to do with the fact that he also had a bacon-wrapped chicken wing (post to come) on his plate, or it may just be the fickle nature of a two-year-old. Regardless, he did at least try it, and that has always been my main goal with this blog – to broaden the palate of little eaters. They may not love everything they try, but they’ll never know what they like if we don’t give them the opportunity to try new things.